يوفر فندق Comfort Inn and Suites Kudos ظروف إقامة راقية وهو خيار رائج للسياح ولرجال الأعمال أيضاً. يقع في منطقة تسوق, سياحة, الأعمال من المدينة. يحظى هذا الفندق ذو 4 نجمات بمكان ممتاز يسمح بالوصول إلى المعالم السياحية الأكبر في المدينة، فهو يبعد مسافة 20 km عن صخب المدينة. كما يمكن الوصول بسهولة إلى عدة معالم سياحية قريبة. كما يقدم Comfort Inn and Suites Kudos الكثير من الخدمات لإغناء رحلتك في المدينة. لضمان راحة ضيوفه، يقدم الفندق الخدمات التالية: واي فاي مجاني في جميع الغرف, مرافق مخصصة لذوي الاحتياجات الخاصة, تسجيل وصول/خروج سريع, تخزين الأمتعة, واي فاي في المناطق العامة . لقد جهزت هذه الإقامة الفندقية بعناية فائقة لتوفر مستوى عالي من الراحة. في بعض الغرف يجد النزيل تلفزيون بشاشة مسطحة, قهوة فورية مجانية, شاي مجاني, بياضات, مرآة. يقدم الفندق مجموعة رائعة من الخدمات كمثل مسار جولف - ضمن 3 كم، لجعل إقامتك تجربة لا تنسى. إن Comfort Inn and Suites Kudos هو خيار ذكي بالنسبة للمسافرين، فهو يوفر إقامة هادئة ومناسبة للاسترخاء. تبدأ ساعات عمل مكتب الاستقبال من الساعة 09:00 صباحًا إلى 05:00 مساءً، وفي حالة أي وصول في موعد بخلاف هذه المواعيد، يُرجى ذِكر ذلك عند الحجز. The apartment is clean and comfy. Surrounded by housing and industrial area. Getting to the hotel could be tricky as our GPS directed us to Holiday Villa Hotel which is right behind it. Staff was helpful with our very late check in. I stayed for a night (booked two rooms for my family) while touring in Auckland. The location was easy to reach from the airport and parking was ample. The manager was extremely helpful in spite of my arrival in the wee hours of the morning, hence I had no trouble getting my family settled-in quickly. 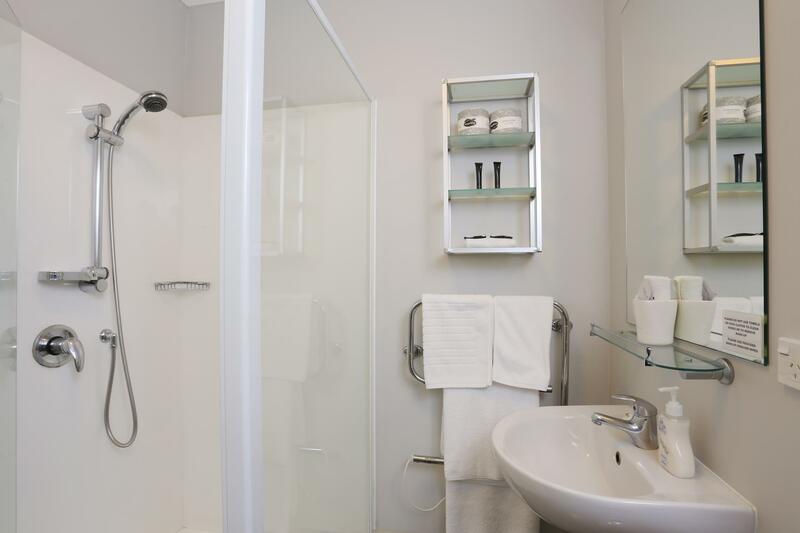 About the rooms, they were very spacious and exceeded my expectations in terms of cleanliness and equipping. The rooms had kitchenettes and large bathrooms. They kitchenettes were also stocked with essential breakfast items such as bread and jam/margarine spreads. In summary, I got more than my money's worth for the quality rooms. They were clean, well-equipped and the overall location was convenient. I have no problems recommending this place to friends and relatives. Although functional, the apartments are old with a stale smell in the loos. Good for a short one night stay when you are not looking for too much! Nothing much except room was ample for 2 couples than a single business traveler. Decent rooms with basic amenities . 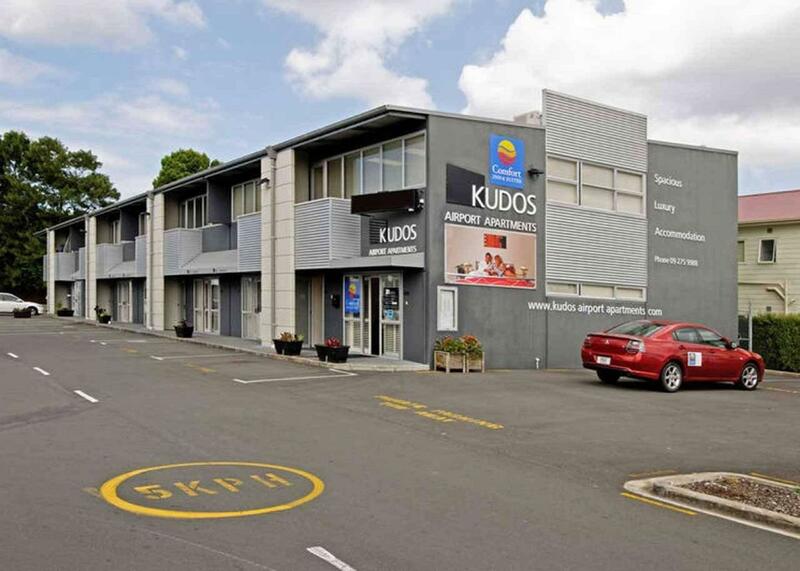 Half an hour to Auckland city Centre and 8 mins to airport . I stayed overnight here and found the room to be great value for money and it met all my needs. The extra bonus was the breakfast that was hassle free. I would stay here again. Nice apartments with plenty of space. Pity that the wifi wasn't working the first night, but the owner did all he could to try and rectify and by the 2nd night it was going. I have stayed here 3 times now and only return as I think it is pretty good. Once we got here, we asked for a 1st floor room to make transiting to the airport easy, we could park right in front of our room. The hotel is only 4 Km from the airport so getting to the airport was simple and fast. Since it was a national holiday, the manager spent limited time in or near the reception area and was not available after about 6PM. The hotel provided the makings for a 'continental' breakfast in the room, a loaf of bread and a bottle of milk in the refrig along with several packages of cereal, butter pads and jelly. The was a small kitchenette with a refirg, stove, sink, and a microwave. The room also had a washer and dryer. The only limitation was in the amount of download space available on the internet capability. It is hard to find since the real name is Kudos Apartments since the Comfort Inn & Suites are franchised. So you cannot find Comfort Inn on the gps. Not sure what to say but the accomodation was big, clean and did the job as an overnight for early airport. However these rooms were located in individual garage shaped modules with glass patio doors that sit amongst others that housed small businesses. Sorry but it was just weird for a motel. the motel is located near the airport and not far from all the car rental companies. good size of the suites and have most if not all the appliances you will need. but the reception is not professional enough and needs improvement. Little bit difficult to find. Arrived 8 pm and fortunately there was a pizza place across the way for tea. Very spacious apartment, with basic continental breakfast. 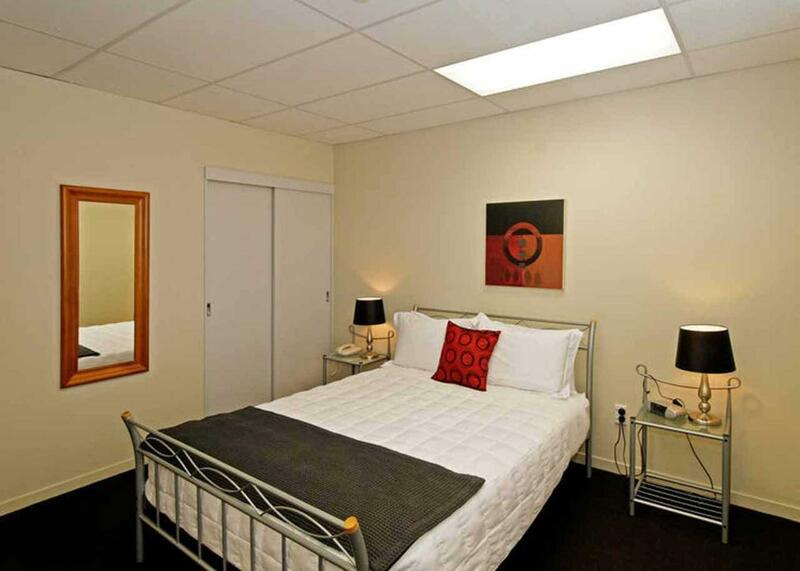 Perfectly fine for medium term accommodation if travelling for business in the airport precinct of Auckland. Shuttle is provided by the Best Western hotel next door for NZD10 per trip. Other transport options are severely lacking in the area. Current roadworks can make driving a bit of a pain. 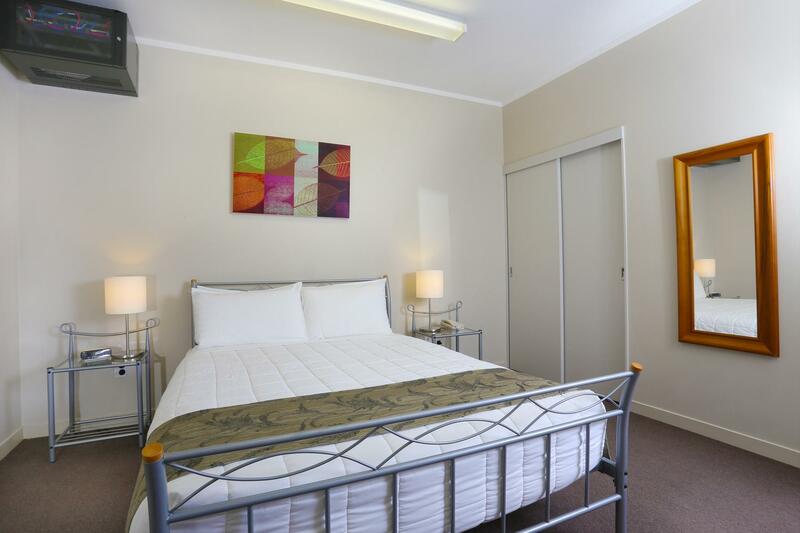 Rooms are quite large and have all the amenities you would expect of a fully self contained apartment. No food and beverage on site however. Unfortunately, I didn't organise a shuttle in advance, so I had to catch a taxi - it cost $32.00 to get to the accommodation. NZ taxis are expensive. The accommodation is a block of apartments near other airport hotels. My room was upstairs - it was a spacious 2 bedroom apartment. There is free internet - to a degree. It runs out at 1GB or something - mine was unavailable the next morning. The complimentary fresh bread and milk in the fridge was a nice touch. All very clean. Location is good near the airport. Area is quiet. Very low traffic.